Bringing life to imagination has been synonymous with the name Walt Disney for the last 85 years. No one formula can reproduce the art and richness of his studio’s work. His never-ending curiosity kept his artists on their feet, and in some instances, initially left them in the dark. Walt’s mind ran constantly in motion, and it wouldn’t be unusual for him to attempt the creation of two ideas at once. After World War II, many have assumed that Disney lost interest in animation. This is a more than reasonable assumption considering the effect the war had on the Studio. 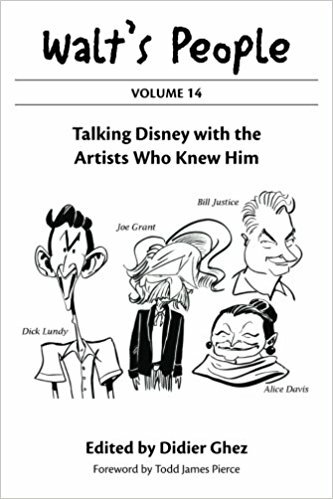 During those four years, Disney was forced to shelf many of his animated projects; several that had even made it through the preliminary stages. In exchange, his creative forces were instead spent on making training and propaganda films for the United States military. Despite all this, to say that Disney lost complete interest in animation doesn’t seem like a fair assessment to me. The war indeed had a draining effect on him personally and professionally, yet he came out with his creativity intact and his curiosity yearning to be satisfied. Disney still played a very active part in his films, but his animators’ skills and expertise had gained his trust, and deep down Walt probably knew his future films were in good hands. 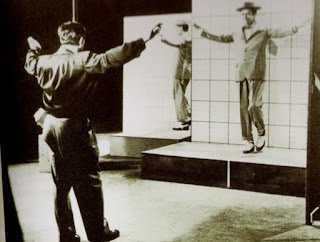 The new ideas he was gathering would eventually take his studio to the next level, and animation, or in other words, the way things moved, was still at the forefront of Walt’s mind. In Michael Broggie’s wonderful book focusing on Walt’s love for trains, he does an incredible job of highlighting Disney’s inner passion for collecting mechanized and miniature toys; especially during the late 1940’s and early 1950’s. During his many trips to Europe, Disney sought out local toy and antique shops in search of these scaled-down treasures (Broggie, 1997). In actuality, the gears inside those toys were not the only ones in motion. Walt’s return from across seas often led straight to his studio’s machine shop located directly behind the studio’s Ink and Paint building, to consult with two of his first Imagineers, Roger Broggie and Wathel Rogers. The roles they played were pinnacle to Disney understanding how these toys moved and what made them tick. On one such occasion, Walt had purchased a mechanical-talking bird while on a trip to New Orleans and handed it over to his master machinists. Roger Broggie recalled, “That was the bird in the cage. He wanted Sam Slyfield [head of the] Sound Department and myself to take a look at it and, and find out how it works (Kurtti, 2008).” To be a fly on the wall while Broggie and Slyfield disassembled that bird and explained its source of movement and sound to Walt would have been magical. Though they didn’t realize it at the time, Walt was already dreaming of what he could do with this newly acquired information. "I’m [Walt] tired of having everybody else around here do the drawing and painting: I’m going to do something creative myself. I’m going to put you on my personal payroll, and I want you to draw twenty-four scenes of life in an old Western town. Then I’ll carve the figures and make the scenes in miniature. When we get enough of them made, we’ll send them out as a traveling exhibit (Thomas, 1976)." Walt Disney's Granny Kincaid miniature display. The traveling attraction, which at the time was coined “Disneylandia”, never came true, but Walt’s miniature Kincaid cabin was successfully put on exhibit at the Festival of California-Living in 1952 (Barrier, 2007). “The next step was to build a kindly looking 1/8th scale grandmother who would be animated to rock back-and-forth in her chair knitting” shares Michael Broggie in his Walt Disney's Railroad Story (Broggie, 1997). Even though this feature never reached fruition, the germ was spreading. "After I got out of the service, I needed a job. Out of the blue I got a call from Walt Disney, who invited me to his studio for lunch. He took me to a small workroom, where some folks were fiddling around with a little wooden man that had wires coming out of his bottom and was connected to a wheel with cams on it. As the wheel turned, the little man’s arms and legs moved. Walt looked at me and said, 'I want you to do a corny soft-shoe dance for us, which we’re going to photograph.' So while they photographed me dancing they rigged cams and wires in such a way that the little man moved as I moved. Meanwhile, Walt was off to the side showing me how he wanted me to move by doing little steps and telling me to repeat the steps. 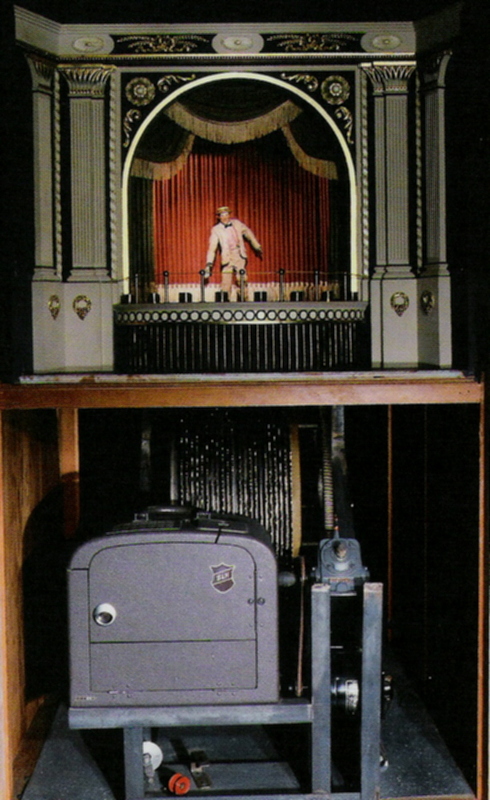 This became the beginning of Audio-Animatronics (Greene, & Greene, 2001)." 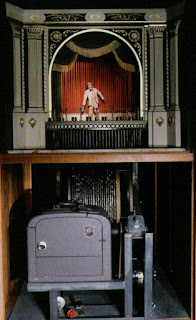 As described by master Imagineer Martin A. Sklar, “In simplest terms, Audio-Animatronics combines and synchronizes sound and animation with the electronics of the space age (Sklar, 1969).” Walt ran with the information he acquired from “Project Little Man”, and went on to create WED Enterprises around 1952. The talented artists and craftsmen who went on to work for WED became responsible for bringing Walt’s dream of Disneyland to physical life. From the theme park’s 1955 opening on, Walt’s new team applied their new knowledge and skill to create legendary Disneyland attractions utilizing the invention of Audio-Animatronics. The most famous (several that had been showcased at the 1964 New York World’s Fair) became Walt Disney’s Enchanted Tiki Room, Great Moments with Mr. Lincoln, “it’s a small world”, Pirates of the Caribbean, and The Haunted Mansion. Even though technology has come a long way since the space age, and the name WED Enterprises has been changed to Walt Disney Imagineering, it’s still important to remember the past. Walt Disney was a man who was always looking to the future, but he never forgot what the past had taught him. I’d like to think he would be thrilled with the new technology his Audio-Animatronics paved the way for. The mysterious Yeti that lurks in the dark caverns of EPCOT’s Expedition Everest I’m sure would have brought a smile to his face. To think it was all started with a man’s interest in a little toy bird. Walt Disney directs Buddy Ebsen on "Project Little Man."